We eat a lot of raw vegetable sides, especially Asian influenced ones, due to Mr M’s love of all things spiced and crunchy. 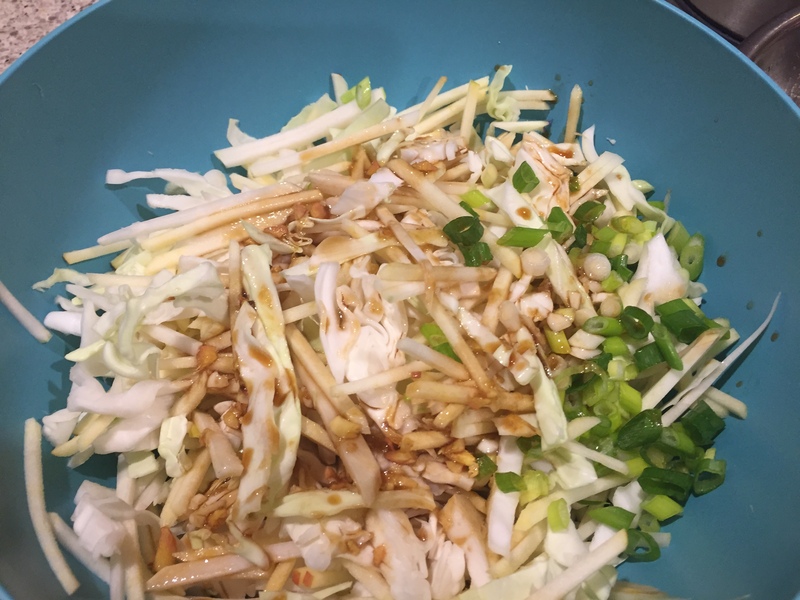 I make some sort of cabbage salad probably every week, usually with a soy or fish sauce based dressing, and it can be as simple as some shredded cabbage and carrot and maybe a spring onion. But it can also be nice to make something a bit more complicated and/or unusual, and this salad, like all those I’ve previously made from the Arthur Street Kitchen’s Community cookbook has an interesting twist. Today’s recipe has become one of our absolute favourites, with its wonderful combination of crunch, sweetness, spice and sourness. I don’t think I’d eaten kohlrabi before trying this salad, though I’d always admired their rather alien (perhaps triffid like?) style! Kohlrabi tastes very similar to cabbage or turnip but milder and with more dense flesh, and it juliennes easily. Combined with the sweet crunch of apples and fine shreds of cabbage as well as the heat and aniseed kick of Vietnamese mint and basil, it’s a heavenly combination. 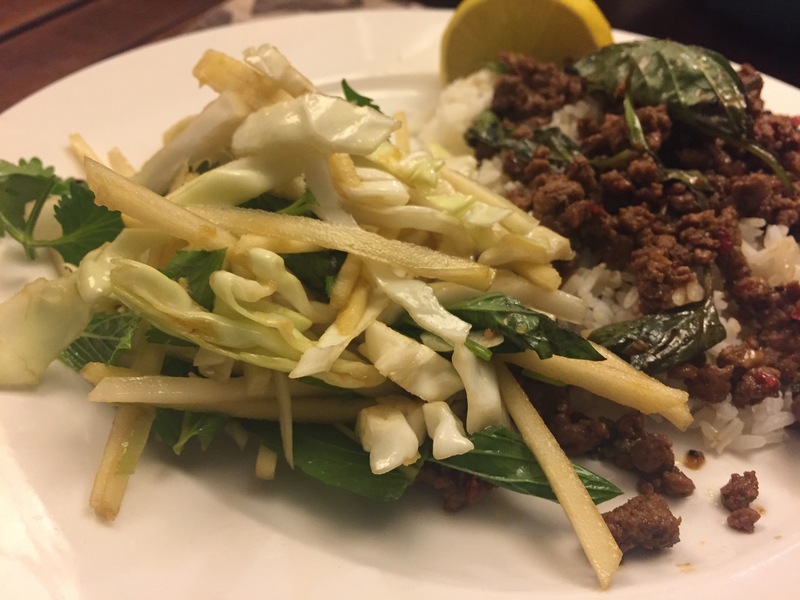 It’s delicious with spicy dishes such as the Thai beef with chilli and holy basil below. As always feel free to vary ingredients. If you have other herbs like coriander (as I used above) or standard mint they will be delicious, and though I love them it would still be fine without the kohlrabi if you can’t find any. You could also use cashews to top if you can’t eat peanuts. 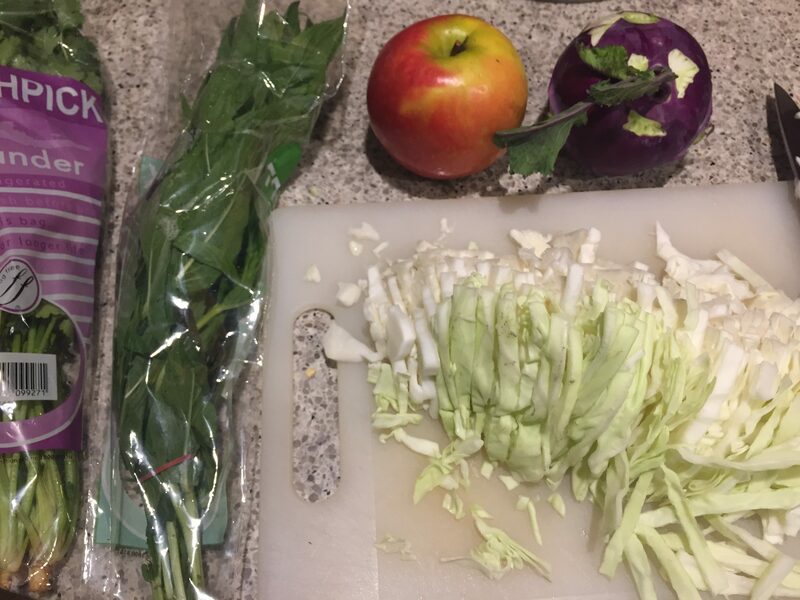 I’m interested to know if you have used kohlrabi, and if so what your favourite recipe is? 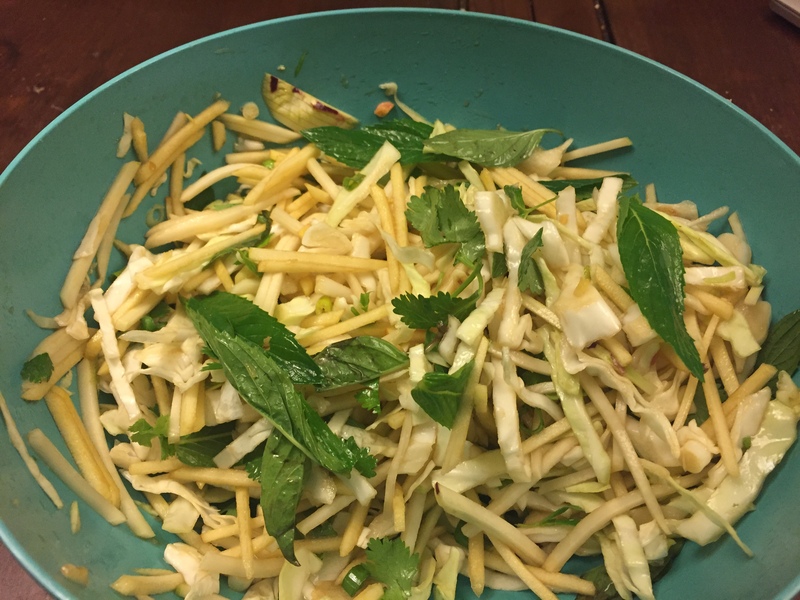 For dressing, finely grate ginger, crush garlic, and whisk together with other ingredients. Add salt gradually, and adjust amount along with sugar and lime for a good balance of sweet, sour and salty. 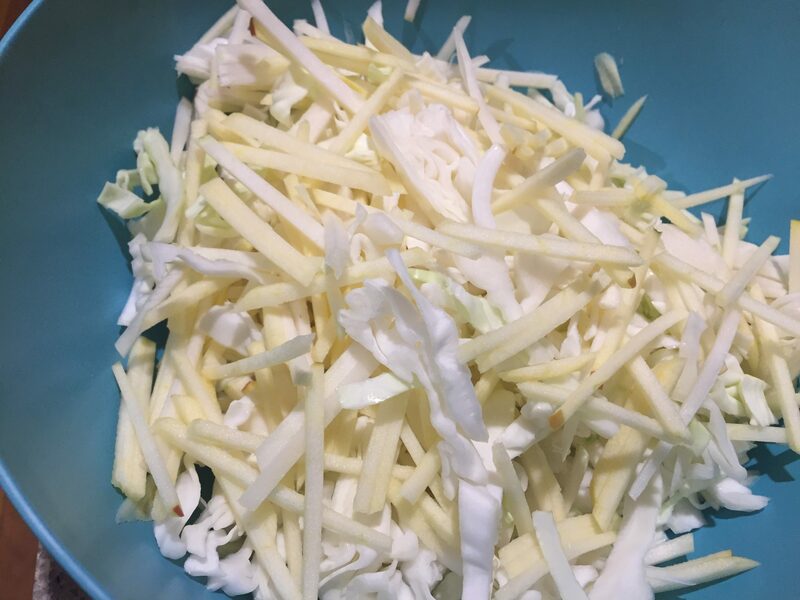 For the salad, use a mandolin or food processor to julienne the peeled kohlrabi and apple and shred the cabbage, and toss together in a large bowl. Finely slice the spring onions and tear the herbs, and toss into the salad. Crush the peanuts with the side of a heavy knife. Mix in enough dressing to coat, and top the salad with the crushed peanuts. Serves 4 as a main and 6 as a side salad, and will last for a few days in the fridge. This salad looks really refreshing Beck.